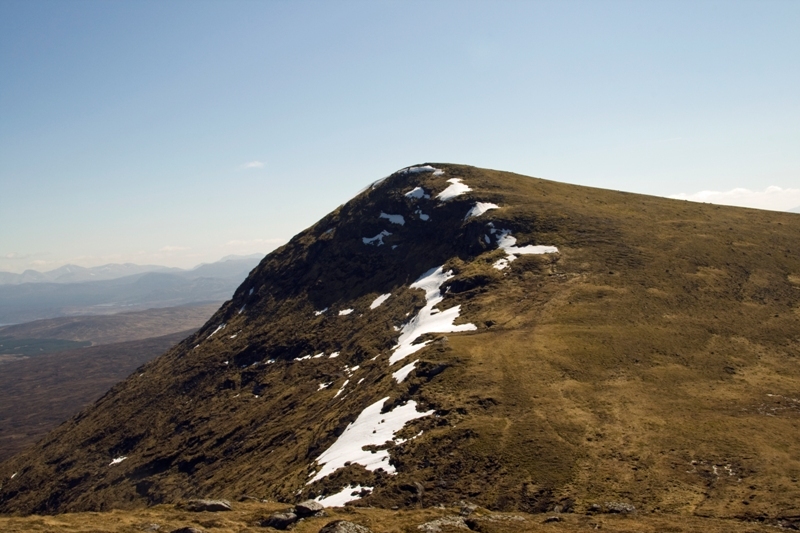 Sgor Gaibhre, a compact conical topped mountain is connected to its nearest neighbour, Sgor Choinnich (1km N), by a high pass, Bealach nan Sgor (800m). 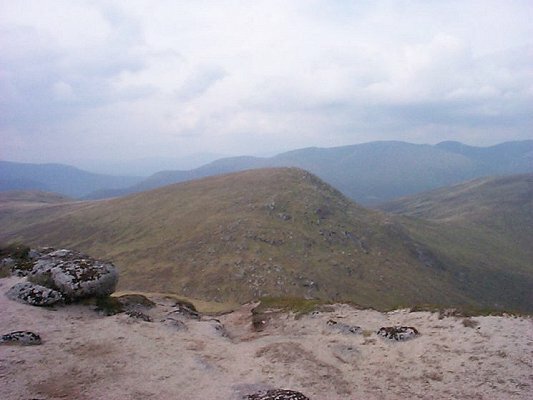 Sgor Gaibhre has two broad ridges; a W ridge which leads down to a broad boggy bealach, the Mam Ban, and is the access route from Carn Dearg, and a S ridge leading to Beinn Pharlagain. E slopes are steep and craggy whereas W slopes have gentle inclines. Normal access routes are from Carn Dearg via the Mam Ban or from Meall Nanthrach onto Sgor Choinnich then via the Bealach nan Sgor. 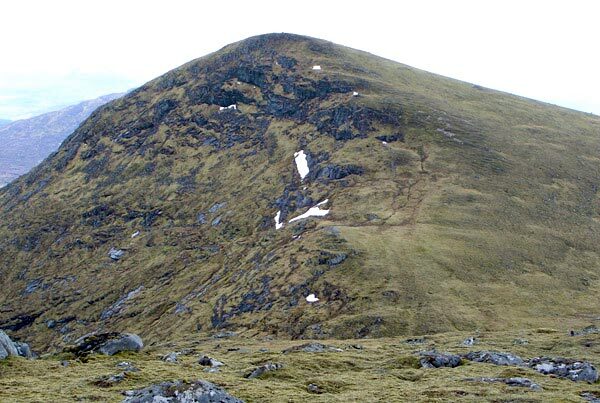 The north ridge of Sgor Gailbhre as seen from the non Munro top of Sgor Choinnich. The view from the south ridge of Carn Dearg across the Coire Eigheach to Sgor Gaibhre and beyond to Sgor Choinnich. 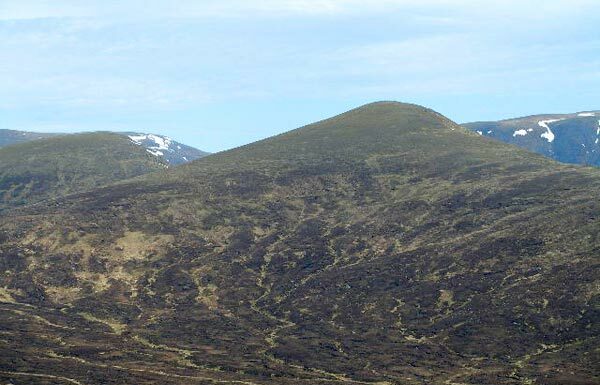 North ridge of Sgor Gaibhre as seen from Sgor Choinnich (top) 18th April 2009. The summary information of one or more ascent routes that include Sgor Gaibhre. 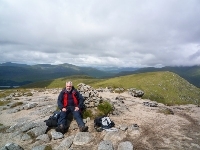 1 1051 m 27.44 km 7.5 hrs Sgor Gaibhre and Carn Dearg [Rannoch region] A long walk on easy slopes. Me at top of Sgor Gaibhre, 4th August 2010. 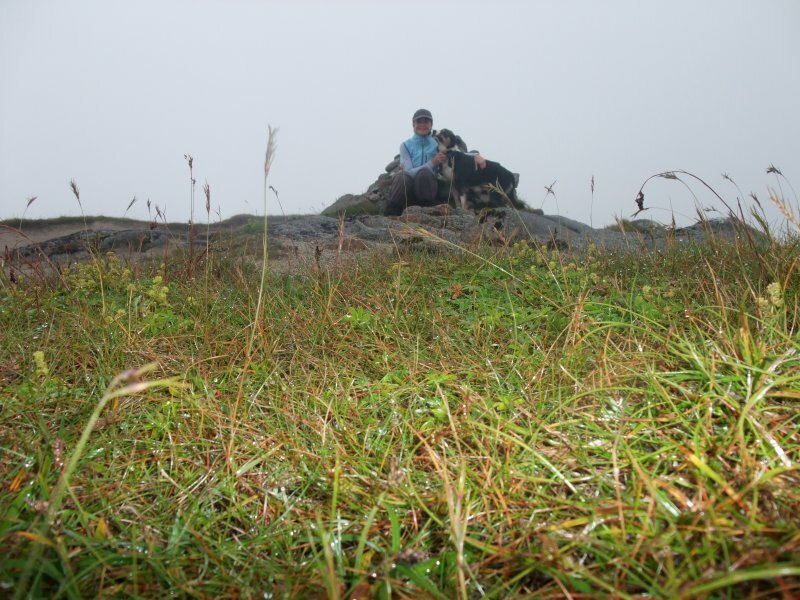 Toto and I on 1/8/10 on a not very summery day. 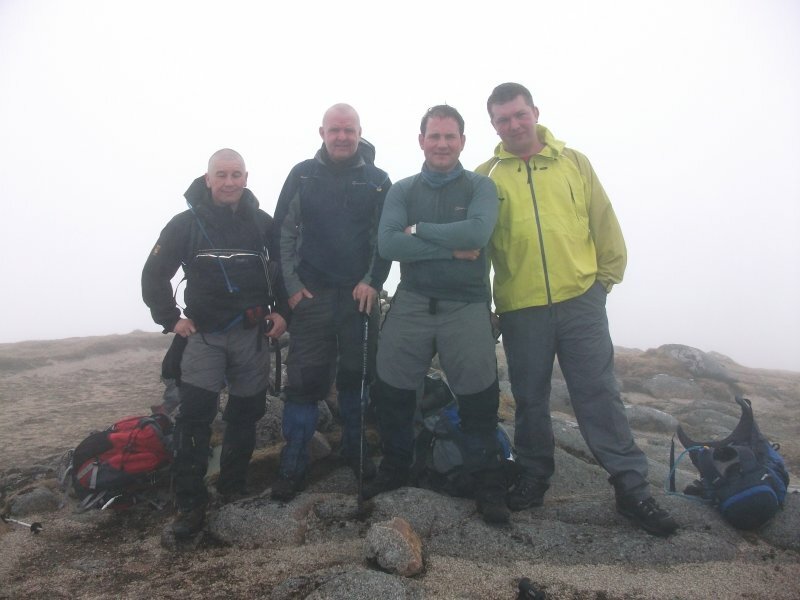 Post a few words about Sgor Gaibhre or read what others have had to say.